Seriously, I think I could spend the remainder of this countdown series alternating between G.O updates and Vocal Virtuosity moments. 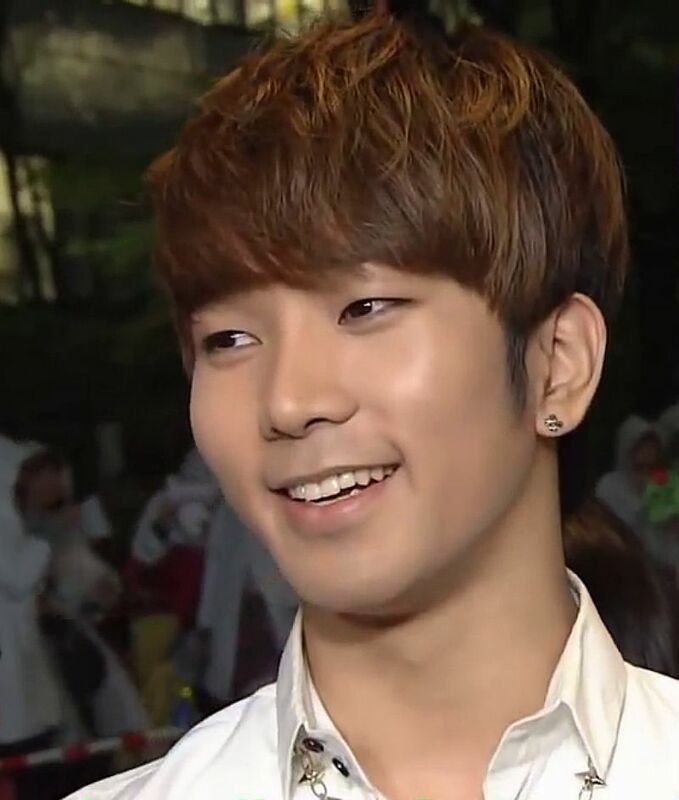 That is, if by some chance G.O decides to say, update every other day. That would be convenient.^^ Frankly, I do not put anything past him these days. He could very well decide to ramp things up in anticipation of his return. What I have learned in life (especially since taking this fangirl side job): anything is possible. To start the week off sweetly, another Vocal Virtuosity moment from our romantic main vocal. 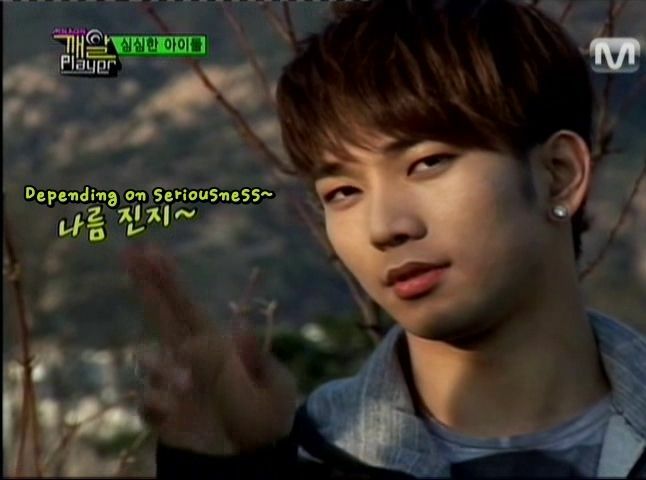 Categories: G.O Military Discharge, MBLAQ Musings, The G.O Files | Tags: Cheondung, G.O, G.O images, G.O on Japanese Television, G.O on Japanese Variety, 정병희, 지오, Jung Byung Hee, Jung Byung Hee images, Made in BS Japan, MBLAQ G.O, MBLAQ G.O images, MBLAQ G.O on Japanese Television, MBLAQ G.O on Japanese Variety, MBLAQ Seung Ho, MBLAQ Thunder, Park Sang Hyun, Yang Seung Ho, Yutaka Ozaki | Permalink. By 2011 and well into their second full year as a group, MBLAQ was indelibly embraced (and rightfully so) by Japan; their JA+ fandom strong and growing. They were gaining so much popularity and love in Japan that Odina Magazine featured them not once, not twice, but three times in 2011. One year, three cover stories. 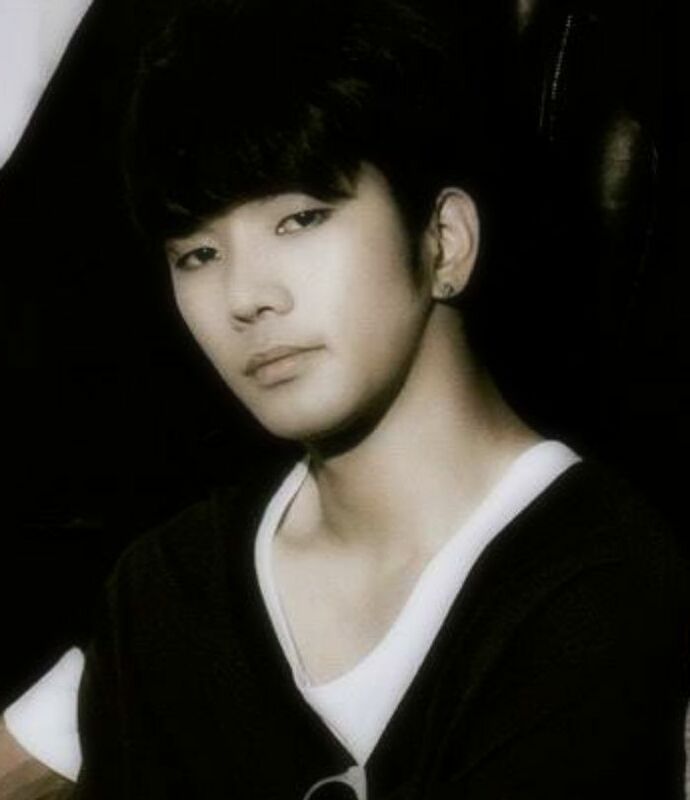 Too much……wait, no, there can never ever be too much G.O!! Categories: G.O Military Discharge, MBLAQ Musings, The G.O Files | Tags: Art & Photography, Bang Cheol Yong, Bang Cheol Yong images, Cheondung, Cheondung images, Chrome Hearts fashion, G.O, G.O images, G.O's Military Service, Jung Byung Hee, Jung Byung Hee images, MBLAQ G.O, MBLAQ G.O images, MBLAQ in Japan, MBLAQ Mir, MBLAQ Mir images, MBLAQ Photo Shoot, MBLAQ Thunder, MBLAQ Thunder images, Model G.O, Odina Magazine Japan, Park Sang Hyun, Park Sang Hyun images | Permalink. If you recall from Episode 5 of MBLAQ’s reality/variety program Sesame Player, there was a segment where Seung Ho, G.O, Joon and Cheondung were going to enjoy a meal at home that was going to include the oft deemed precious main course of beef. This was serious business. Everyone wanted to eat, but no one wanted to cook. The only way to settle the decision was through challenge. And when the men of MBLAQ set out to challenge each other, hilarity ensued. Categories: G.O Military Discharge, MBLAQ Musings, The G.O Files | Tags: Cheondung, Cheondung images, G.O, G.O images, G.O on Television, G.O on Variety Shows, G.O's Military Service, Jung Byung Hee, Jung Byung Hee images, Korean Reality Television, Korean Variety, Korean Variety Shows, Lee Chang Sun, Lee Ja Ram images, Lee Joon, Lee Joon images, MBLAQ G.O, MBLAQ G.O images, MBLAQ on TV, MBLAQ Sesame Player, MBLAQ Thunder, MBLAQ Thunder images, Yang Seung Ho, Yang Seung Ho images | Permalink. When you wake one morning and realize all you want to do is sing, you hear music in everything. I have a feeling this is exactly what G.O felt when that realization hit. From that point on, he most likely became an ardent student of music. And although it was no doubt he was hearing his own compositions in his head and perhaps keeping a journal of poetry that would transform into lyrics, the first songs he sang were probably the songs of other artists. For G.O, I suspect the songs he sang in those early days were his guide and his lessons, and the artists themselves, his mentors and his teachers. It is no wonder then he would ultimately pay homage to them by covering those songs that guided him to become the incredible vocalist he is today. The beauty of his education, however, is that he did not limit himself to the songs of Korean artists. His deep respect for music (all music) and his choice to cover many songs that were sung in a language foreign to him (English) are valid and honorable reasons to continue to love this amazing man. Categories: MBLAQ Musings | Tags: Alicia Keys, Baek Su Kyung, Bi Rain, Big Happy Concert, Brian McKnight, Cheondung, Color Me Badd, cover songs, Daum Cafe, Eric Benet, Gimhae Big Happy Concert, Jang Goon, Javier Colon, Jung Byung Hee, Jung Byung Hee images, KBS Cool FM Radio, Kim Hyun, Korean R&B, Lee Joon, Lee Jung Jung, Luther Vandross, Maroon 5, Maybee's Volume Up, MBC Dream Radio, MBC Icon, MBLAQ, MBLAQ Asia Tour, MBLAQ Curtain Call, MBLAQ Curtain Call 2014, MBLAQ G.O, MBLAQ G.O images, MBLAQ Mir, MBLAQ Sensation Tour, MBLAQ Yang Seung Ho, MBLAQ Zepp Tour, Mnet Beatles Code, Music Bank Chile, Neo Soul, New Birth R&B Group, Ricky Martin, SBS Live Session, Skylark, Stevie Wonder, The Carpenters, The O'Jays, Ty Entertainment, TyKeys, Yang Seung Ho | Permalink. Ok yeah, it was a rough autumn and a rather excruciating winter. Coupled with that, the prolonged hibernation of our beloved three MBLAQ teddy bears hasn’t helped matters much either. Yet as we enter spring, it seems they have begun to push themselves through the soil of those darker days and are starting to re-blossom as a music-making trio. With news of a new album in the works, hope does indeed spring eternal. Categories: MBLAQ Musings | Tags: Bang Cheol Yong, Bang Cheol Yong images, Ceci Magazine, Cheondung, Cosmopolitan Magazine Korea, Heard it Through The Grapevine, Jung Byung Hee, Jung Byung Hee images, Korean Drama, Korean Popular Music, Korean R&B, Lee Joon, MBLAQ, MBLAQ Curtain Call, MBLAQ G.O, MBLAQ G.O images, MBLAQ images, MBLAQ Mir, MBLAQ Mir images, MBLAQ Seung Ho, MBLAQ Seung Ho images, MBLAQ Thunder, Nylon Magazine Korea, Park Sang Hyun, Yang Seung Ho, Yang Seung Ho images | Permalink.